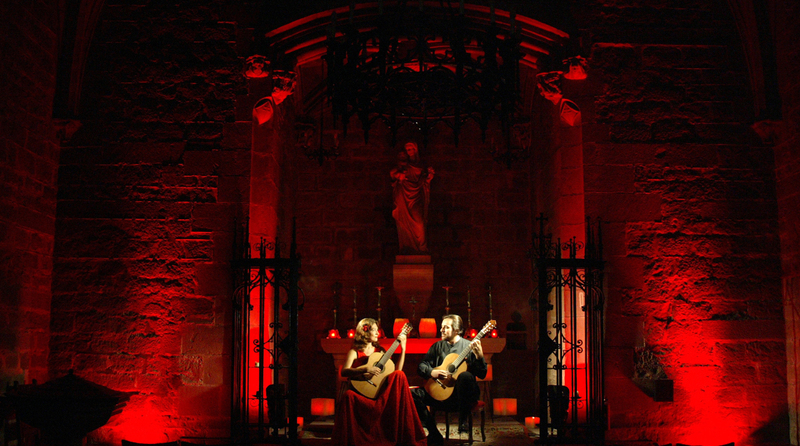 Enjoy an intimate candlelight concert and a glass of wine with the artists in one of the most outstanding venues in Barcelona (Santa Anna Church 14thC). Spanish guitar concerts in intimate format, unplugged and in a incredibly beautiful venue, the cloister of Santa Anna's church and its Chapter House, which is part of an old convent associated with the Knights Templar that dates in the 15th century and stands in the middle of the city,next to las Ramblas and Plaza Cataluña. In the concert you can hear pieces of Rodrigo, Albèniz, Sarasate and more... With the proximity you can appreciate how warm and rich in tones is the pure sound of this instrument. Afterwards you can enjoy a cup of wine in company of the artists. In the present Barcelona Guitar Duo are considered by the specialized critique as one of the best Guitar Duo in Spain. 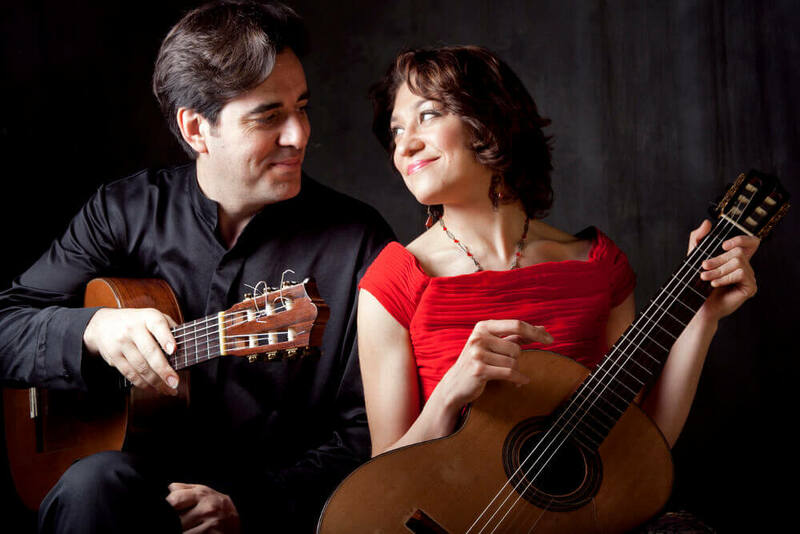 Their latest Recordings “Carmen” and “Amor Brujo” are among the best-selling classical CD’s in Spain. La Lluna is an Art Noveau restaurant located in the former hall of the first luxury hotel in Barcelona. Its food is a combination of traditional Catalonian dishes and modern Spanish style new cuisine. The entrance to the concert is Santa Anna's Street 29.